At the historic Bailey Mansion in Denver, Colorado, you will find a group of personal injury attorneys, paralegals, case managers and investigators all focused on one objective: helping catastrophically injured individuals and representing families whose loved ones died due to the negligence of another. We pride ourselves on being accessible to you around the clock. To learn more about how we can help with your injury case, call toll-free 866-701-7302 or contact us through this site. 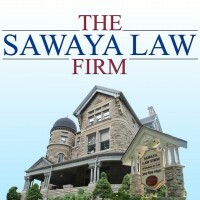 We have a nationwide network of experienced attorneys who can help you, regardless of where you live. Founded in 1977 as a general practice law firm, we decided more than 20 years ago to turn all our energies and resources to helping injured people. Our Colorado personal injury lawyers and staff go beyond the obvious goal of seeking the funds you need for full recovery. We manage your case from the beginning to help you obtain complete personal, medical and vocational recovery. We document every aspect of your injury and carefully investigate your case. We strive to keep you fully informed of our progress, each step of the way. Our Denver personal injury law firm will communicate with insurance companies and other parties responsible for compensating you for your injuries or for the wrongful death of a family member.